You Are Here: Home > What’s the Mercedes-Benz Sprinter Towing Capacity? What’s the Mercedes-Benz Sprinter Towing Capacity? All in all, the new Mercedes-Benz Sprinter can tow 5,000 pounds to 7,500 pounds. Compared to others of their kind, the Sprinter Vans and Cab Chassis offer astounding towing and hauling capacities. Whether you’re building a fleet or simply need one work vehicle, the Mercedes-Benz Sprinter towing capacity, interior dimensions, and payload capacity make it a must for San Jose and Union City businesses. If your business calls for extra towing power, the Sprinter Cab Chassis delivers. Not only can you use its frame as a base for a personalized work vehicle, you can also tow up to 7,500 pounds. Plus, it has a payload capacity of 6,521 pounds when properly equipped. So, whether you’re customizing a mobile health clinic or a heavy-duty vehicle that hauls long, awkward materials, the Cab Chassis is powerful enough to do just about anything. Find the Perfect Sprinter in Fremont! The Mercedes-Benz Sprinter towing capacity never fails to wow business owners in Sunol, Alameda, and beyond. And there are other advantages to look forward to when you opt for this hard-working vehicle! 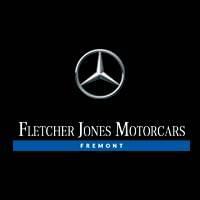 Schedule a test drive at Fletcher Jones Motorcars of Fremont, or contact us to learn more about our Sprinter repair services, Sprinter specials, and Sprinter accessories!